Sneak Peek at the Upcoming ABS Giveaway (It’s a Doozy)! To celebrate the upcoming (I hope – honestly just haven’t been able to find the time) launch of the ABS forum (yay!) I’ve put together what I think to be the best-ever ABS giveaway ~ a package of great products hand-picked and purchased by yours-truly and worth over $200! I picked up a few products I love, some I’ve been wanting to try and some I just knew you’d all want. And while the giveaway itself won’t be up for another few weeks, I figured you’d all enjoy getting a peek at what’s coming! Check out the giveaway revealed in all its non-blurry glory after the jump =P. I hope this post has got you at least semi-excited for what’s to come, and I hope that when the forum launches you’ll all take a little time from your busy schedules to pop by and say hello! The Body Shop Holiday Giveaway Winner! I’m a little late with this but things have been a little busy over here at the ABS headquarters (aka my house LOL) – but I know you’ve all been anxious to find out who won the $159 worth of lovely The Body Shop cosmetics goodies! Our winner is — Amanda! Congratulations and I’ll be in touch shortly for your shipping info so that the wonderfully generous people over at The Body Shop can get your prize out to you! And for those of you who didn’t win, don’t despair, I’ve got a rather fantastic giveaway coming you way chock full of products I purchased myself, specially for you! Holiday Giveaway: Win The Body Shop’s Entire Holiday Color Collection! So my lovelies – the day has come! What day you ask? 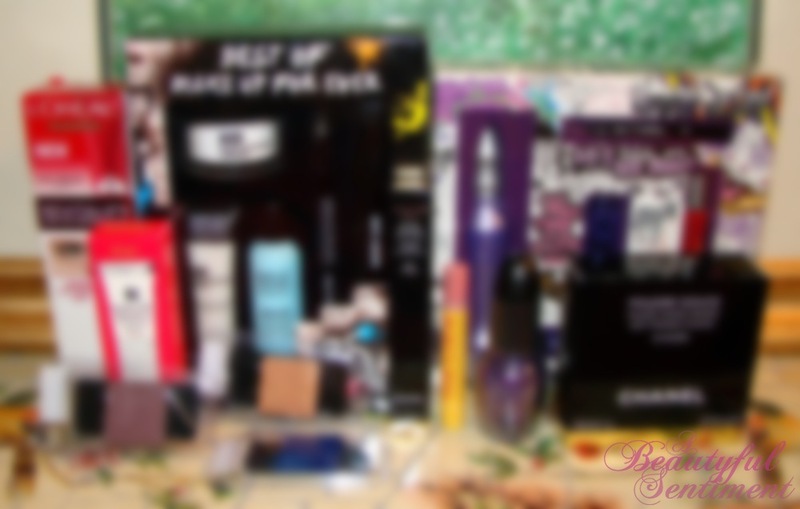 My day to participate in The Body Shop’s 12 Days of Giveaways, of course! Click on after the jump to learn how to win yourself every item from The Body Shop’s shimmering holiday color collection, a $156 value! On top of all this generosity, the Body Shop will also be giving away a grand prize valued at a whopping $1,200 on December 12th! To enter, simply enter your name and e-mail address here on The Body Shop’s site anytime before the deadline on the 12th and you’re good to go. As for the ABS giveaway, the rules are simple. All you have to do is leave me a comment down below by midnight (EST) on December 11th telling me about your holiday look (and please include your e-mail address, or if you’re uncomfortable leaving it in a comment, e-mail it to me). One winner will be chosen at random the morning of the 12th! Open to US residents only (but don’t be too sad, I’ve got a fantastic holiday giveaway planned that’s open to everybody!). 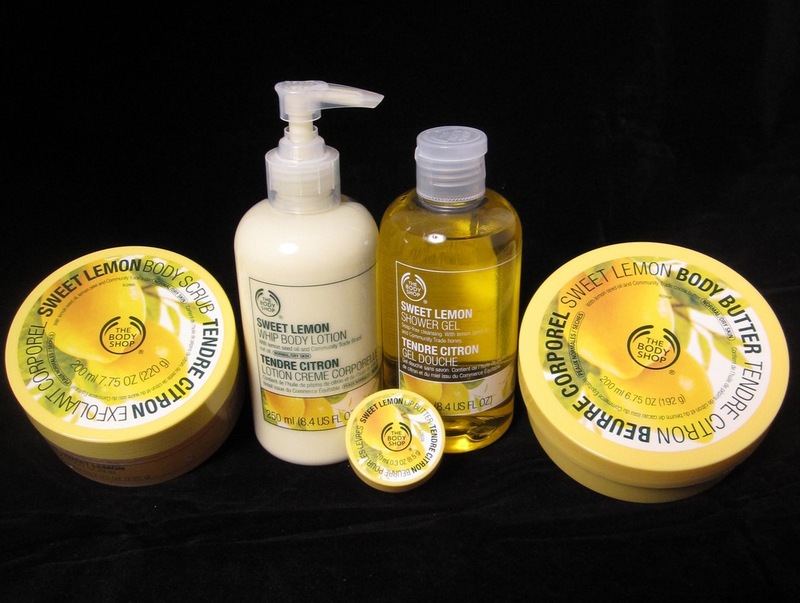 The Body Shop’s 12 Days of Giveaways! Long time no see everyone! I feel like it’s been forever since I blogged but I’m back and with some awesome giveaways coming your way throughout the month of December. Up first is The Body Shop’s 12 Days of Giveaways ~ this year The Body Shop is teaming up with 12 beauty bloggers (including A Beautyful Sentiment – yay!) to bring you twelve days of fabulous giveaways which kicked off today. Find out more details (including info on my day) after the jump! On December 10th, I’ll be giving away a fantastic The Body Shop package worth $156 to one lucky reader. I’ll keep the contents a mystery a little longer so as not to ruin the element of surprise, but I promise you you’ll love it! But what’s even more exciting is that on the 12th day, The Body Shop will choose a winner for a from those that enter on their main page to receive a whopping $1,200 worth of Body Shop swag! Don’t forget visit The Body Shop Blog every day starting today through the 12th to find out which beauty blogger is hosting the giveaway for that day, you won’t want to miss it! And of course don’t forget to visit back here at ABS often throughout December as I’ve got some exciting things coming your way! 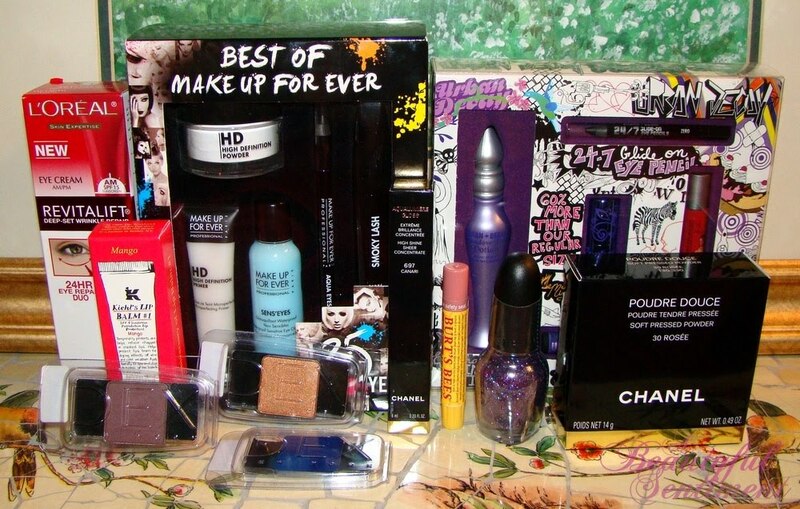 ABS’ 1000th Post Stila Loves Barbie & L’Oreal Telescopic Explosion Giveaway Winner! To keep track of the whopping 527 entries into the ABS 1000th Post Stila Loves Barbie Palette & L’Oreal Telescopic Explosion Mascara giveaway, I put together a spreadsheet, learned how to randomize in Excel, and basically decided to go the whole nine yards. It was time-consuming, tedious, and to be honest somewhat miserable, but we’ve got ourselves a winner! Congrats Ana darling! You totally deserve this and I was so pleased to see your name pop up at the top of my Excel spreadsheet. I’ll be in touch regarding your winnings! Giveaway: Join Me In Celebrating ABS’ 1000th Post! Can you believe that this is my 1000th post here on ABS? It’s absolutely insane, and to celebrate the craziness I’m giving away the hot new Barbie Loves Stila All Doll’d Up Eye Shadow Palette (I have swatches coming for you in a few) along with L’Oreal’s Telescopic Explosion Mascara which isn’t officially released under November of 2009 (reviewing coming soon)!! I actually stopped by my local Sephora to pick up the All Doll’d Up Palette but it was sold out so all I have is a photo of the tester ~ ewwwww I know, but take comfort in the fact that yours will be brand spanking new! Check out the details on entering the giveaway after the jump! 1) Leave me a comment spelling out your e-mail address (ex. a.beautyful.sentiment at gmail dot com) so that I know where to reach you (if you’re uncomfortable posting your e-mail address, just leave a comment and then shoot me and e-mail with your e-mail addy letting me know who you are). 3) In addition, to thank all of you who comment regularly, every comment posted anywhere on the blog after this post goes live will constitute an additional entry into the giveaway. I’ll be choosing the winner at random from amongst the entries ~ good luck! The results for this MAC Graphic Garden Palette Giveaway are long overdue, but better late than never right? 🙂 I just couldn’t resist taking a vacation from everything and everybody this Labor Day weekend. It’s so rare that I have a long weekend, and I figured I would thoroughly enjoy the time by lounging around and being very very unproductive. But I’m back with so many exciting things coming your way this week! But for now I’ll keep things short and sweet by announcing the MAC Graphic Garden Giveaway winner, CHARLOTTE!!! Congratulations and I’ll be in touch shortly for your contact info! ABS’ Giveaway For the Month of August: MAC Graphic Garden Palette!!! You can see swatches of the palette HERE, view a million close-up shots of the palette HERE, and see some photos of one of my favorite FOTD’s ever (created using the Graphic Garden palette of course) right HERE. I won’t even go into how amazingly stunning the Graphic Garden palette is, as I’m sure you’ve heard it all before, but I will mention that it’s sold out pretty much everywhere so don’t miss out on this opportunity to get yours hands on it! 2) Spelling out your e-mail address (ex. a.beautyful.sentiment at gmail dot com) so that I know where to reach you. 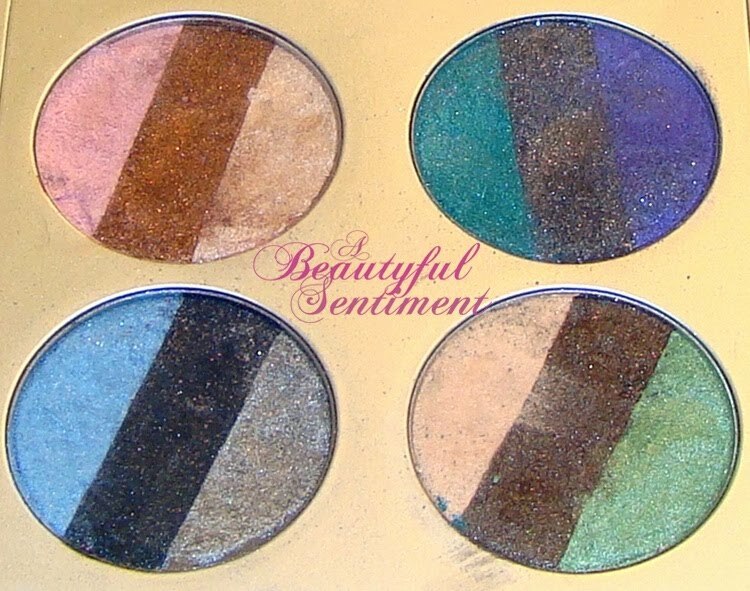 Double your chances of winning by signing up to receive A Beautyful Sentiment updates via e-mail! If you’re already signed up via e-mail, please be sure to either tell me in your original comment, or to leave me a second comment telling me that you’re a subscriber. AND TRIPLE your chances of winning by following me on Twitter! Just leave me your Twitter username in the comments below so I know who you are (either in your original comment or in a separate comment).